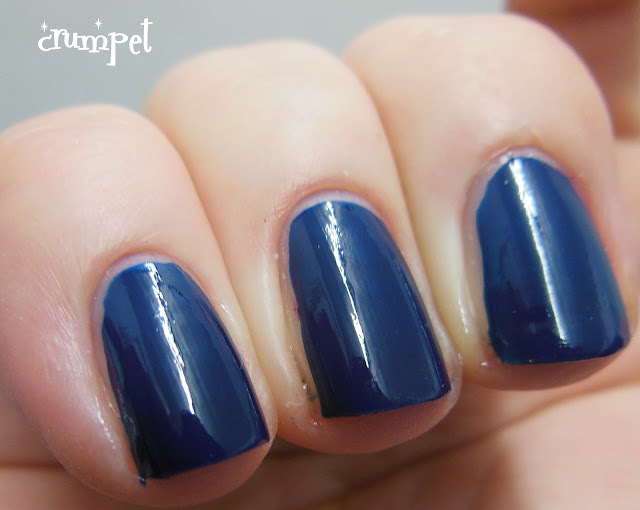 Blue Plum was not my favourite Barry M Gelly, but ironically, this IS one of my favourite layering combinations. 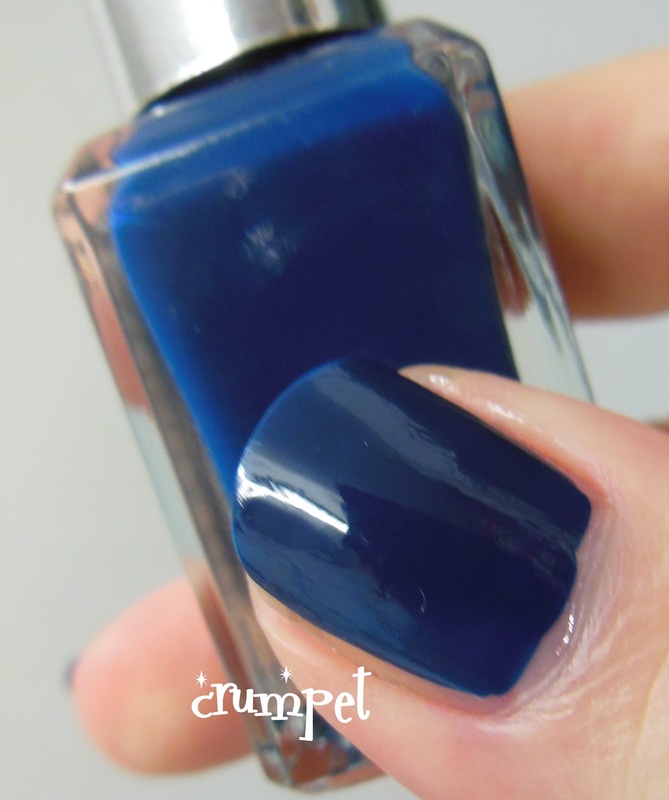 Blue Plum doesn't win for me, because it's not entirely sure what sort of blue it is. 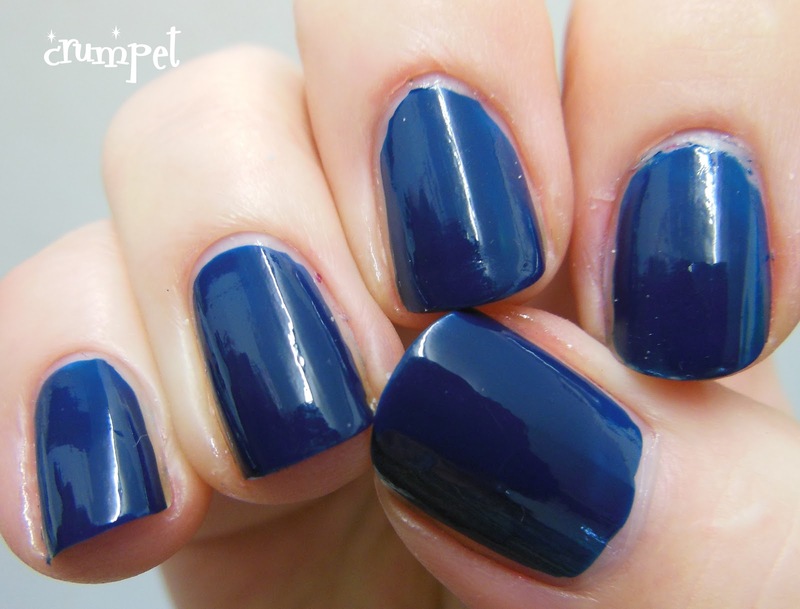 It's a few clicks shy of navy, not intense enough to be royal, slightly smoke-tinged - it just ends up a whole mush of blue which I can't relate to. On the plus side, it is opaque in one coat. 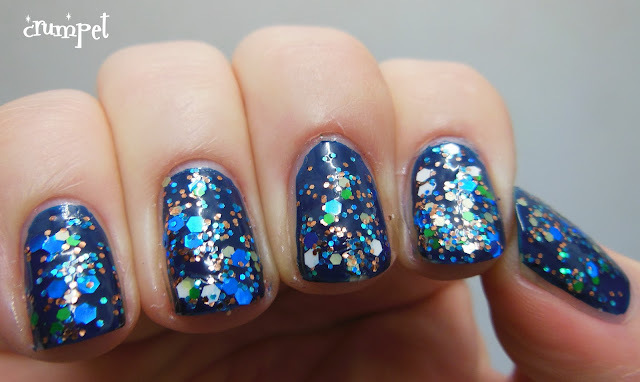 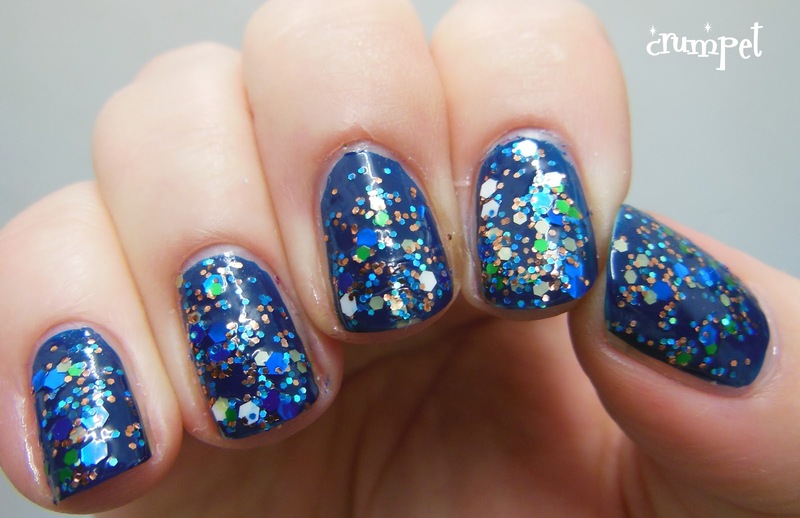 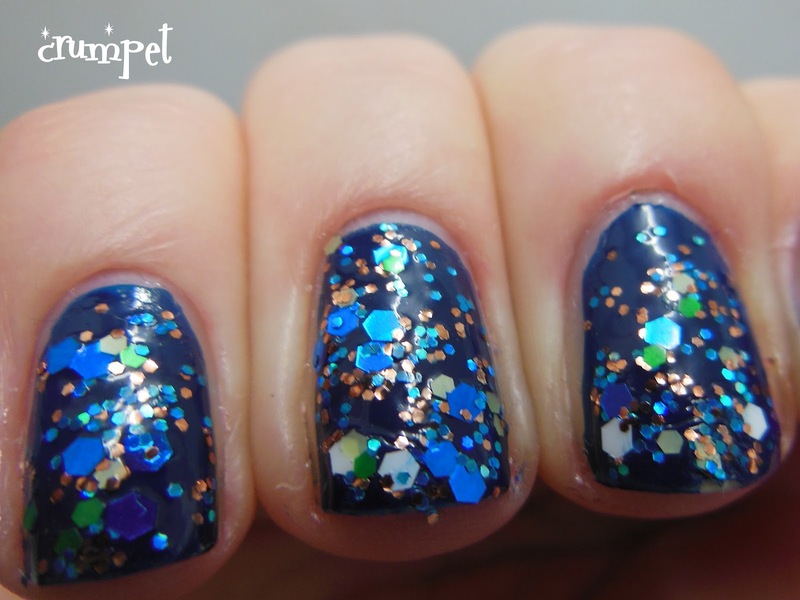 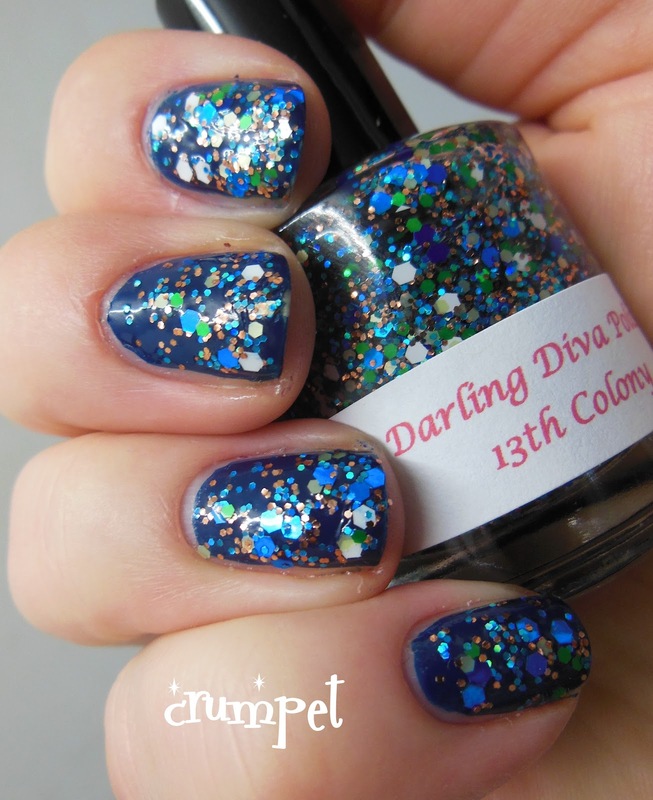 13th Colony is a sensational glitter topper from Darling Diva Polish, which you can find HERE. 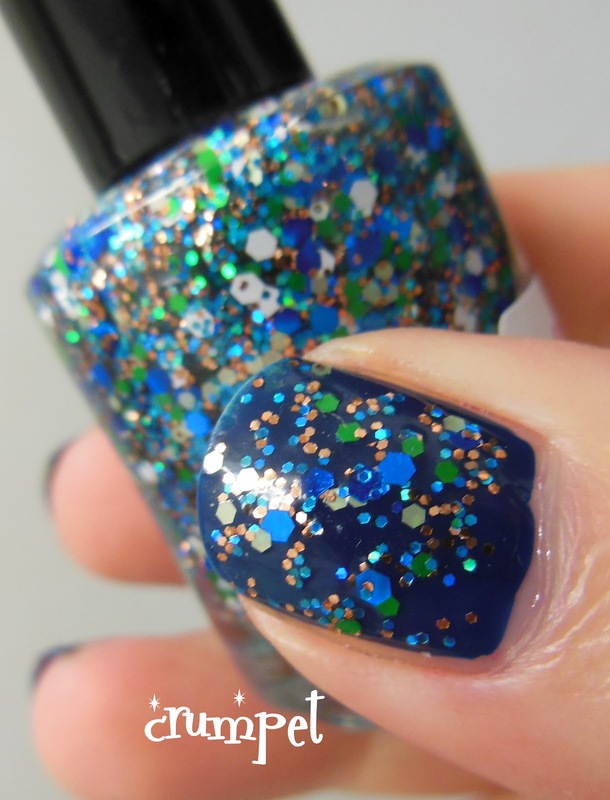 Although I'm geeky in lots of ways, modern sci-fi is not one of them, so I needed to read the description to know this was inspired by Battlestar Galactica. 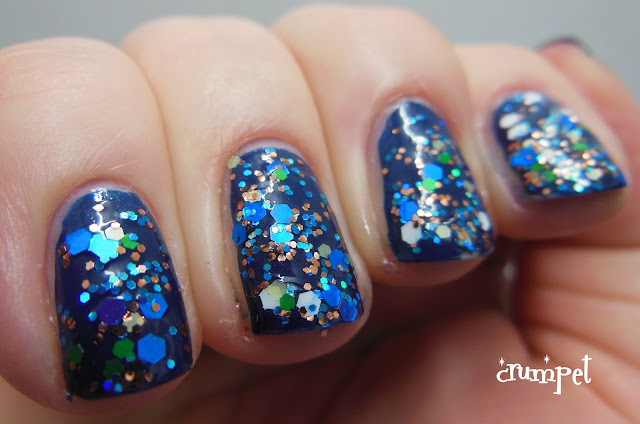 All I care about is that this is lovely, and LOOK how it pops on the nail. 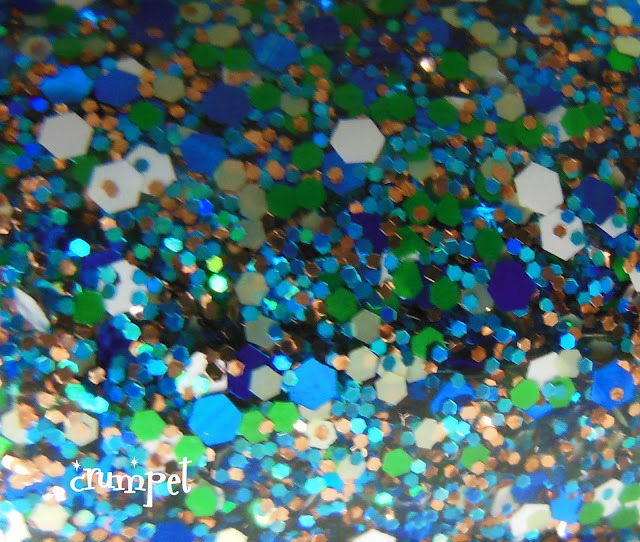 Blue and white hexes battle with smaller green pieces and copper particles in a sensational mix. 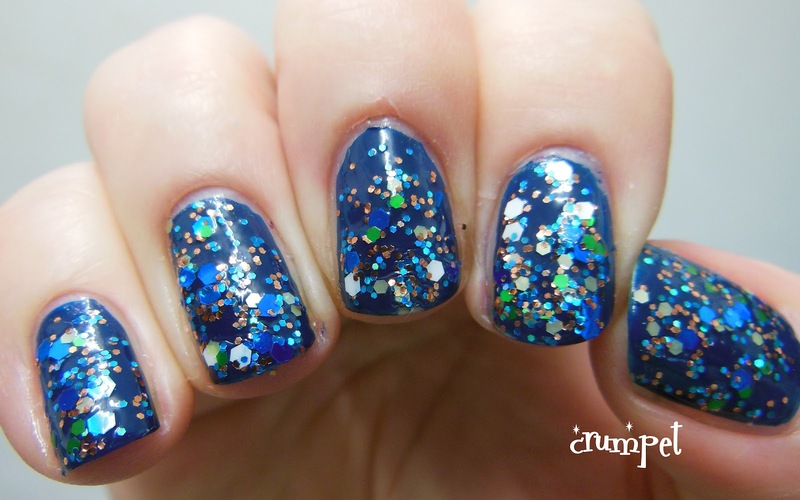 The darker base really allows the polish to shine, and I love the galactic qualities this has. I've tried a few Darling Diva polishes now, and all of them have been great. 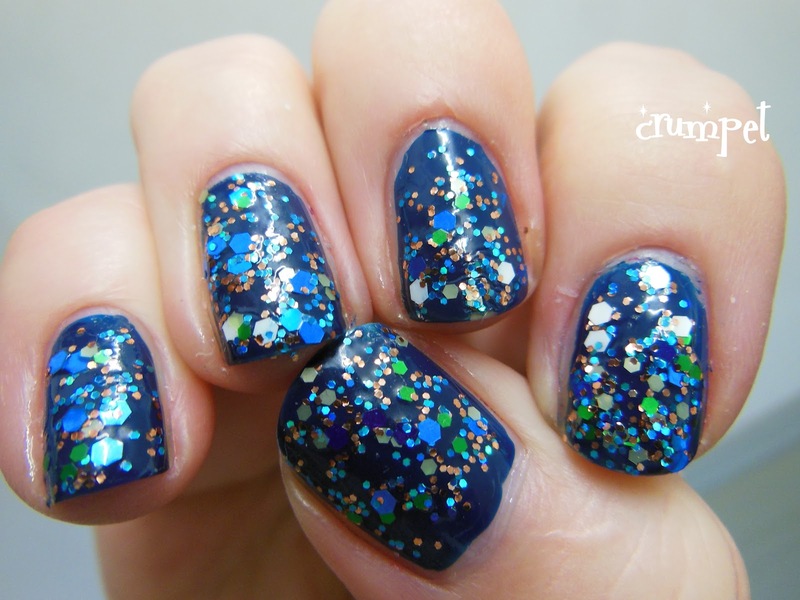 Lovely composition, easy application, little bit of stun - they're fabulous.